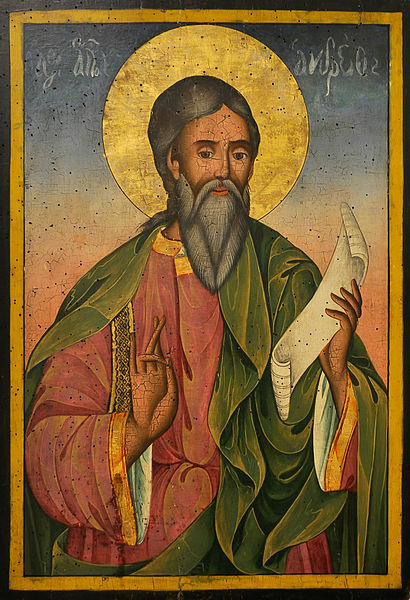 Today is the feast of Andrew the Apostle, called in the Orthodox tradition Protokletos, or “First-called,” Christian Apostle and the brother of Saint Peter. The name “Andrew” (Greek: Andreia, “manhood, valour”), like other Greek names, appears to have been common among the Jews, Christians, and other Hellenized people of the region. Unusually, no Hebrew or Aramaic name is recorded for him. He is considered the founder and the first bishop of the Church of Byzantium and is consequently the patron saint of the Ecumenical Patriarchate of Constantinople. The gospels state that Andrew was the brother of Simon Peter. He was born in the village of Bethsaida on the Sea of Galilee. Both he and his brother Peter were fishermen by trade, hence the tradition that Jesus called them to be his disciples by saying that he will make them “fishers of men.” At the beginning of Jesus’ public life, they were said to have occupied the same house at Capernaum. The Gospel of John says that Andrew was a disciple of John the Baptist, whose testimony first led him, and another unnamed disciple of John the Baptist to follow Jesus. Andrew at once recognized Jesus as the Messiah, and hastened to introduce him to his brother. In the gospels, Andrew is referred to as being present on some important occasions as one of the disciples more closely attached to Jesus. Andrew told Jesus about the boy with the loaves and fishes (John 6:8), with Philip told Jesus about the Greeks seeking Him, and was present at the Last Supper. Eusebius in his church history quotes Origen as saying Andrew preached in Scythia. The Chronicle of Nestor adds that he preached along the Black Sea and the Dnieper river as far as Kiev, and from there he traveled to Novgorod. Hence he became a patron saint of Ukraine, Romania and Russia. According to tradition, he founded the See of Byzantium (Constantinople) in 38, installing Stachys as bishop. According to Hippolytus of Rome, he preached in Thrace, and his presence in Byzantium is also mentioned in the apocryphal Acts of Andrew, written in the 2nd century. Basil of Seleucia also knew of Apostle Andrew’s mission in Thrace, as well as Scythia and Achaia. This diocese would later develop into the Patriarchate of Constantinople. Andrew is recognized as its patron saint. Relics of the Apostle Andrew are kept at the Basilica of St Andrew in Patras in Greece; the Duomo di Sant’Andrea, Amalfi in Italy; St Mary’s Roman Catholic Cathedral, Edinburgh in Scotland; and the Church of St Andrew and St Albert, Warsaw in Poland. There are also numerous smaller reliquaries throughout the world. St Jerome wrote that the relics of St Andrew were taken from Patras to Constantinople by order of the Roman emperor Constantius II around 357 and deposited in the Church of the Holy Apostles. The head of Andrew was given by the Byzantine despot Thomas Palaeologus to Pope Pius II in 1461. It was enshrined in one of the four central piers of St. Peter’s Basilica in the Vatican. In 1208, following the sack of Constantinople, those relics of St. Andrew and St. Peter which remained in the imperial city were taken to Amalfi, by Cardinal Peter of Capua, a native of Amalfi. 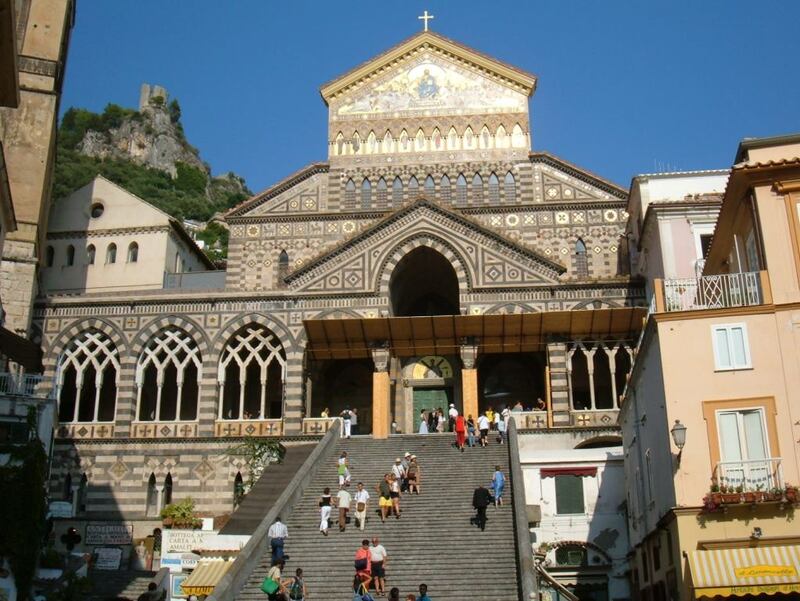 The Amalfi cathedral (Duomo), dedicated to St. Andrew (as is the town itself), contains a tomb in its crypt that it maintains still contains the rest of the relics of the apostle. In September 1964, Pope Paul VI, as a gesture of good will toward the Greek Orthodox Church, ordered that all of the relics of St. Andrew that were in Vatican City be sent back to Patras. Cardinal Augustin Bea along with many other cardinals presented the skull to Bishop Constantine of Patras on 24 September 1964. 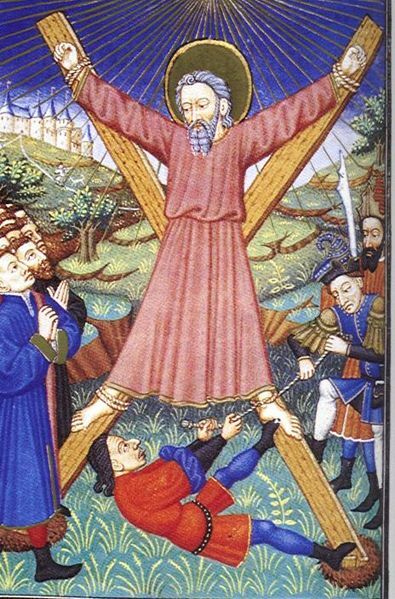 The cross of St. Andrew was taken from Greece during the Crusades by the Duke of Burgundy. It was kept in the church of St. Victor in Marseilles until it returned to Patras on 19 January 1980. The cross of the apostle was presented to the Bishop of Patras by a Catholic delegation led by Cardinal Roger Etchegaray. All the relics, which consist of the small finger, the skull (part of the top of the cranium of Saint Andrew), and the cross on which he was martyred, have been kept in the Church of St. Andrew at Patras in a special shrine and are revered in a special ceremony every November 30. Cypriot tradition holds that a ship which was transporting Saint Andrew went off course and ran aground. Upon coming ashore, Andrew struck the rocks with his staff at which point a spring of healing waters gushed forth. Using it, the sight of the ship’s captain, who had been blind in one eye, was restored. Thereafter, the site became a place of pilgrimage and a fortified monastery stood there in the 12th century, from which Isaac Comnenus negotiated his surrender to Richard the Lionheart. In the 15th century, a small chapel was built close to the shore. The main monastery of the current church dates to the 18th century. Apostolos Andreas Monastery (Greek: ????????? ???????) is a monastery dedicated to Saint Andrew situated just south of Cape Apostolos Andreas, which is the north-easternmost point of the island of Cyprus, in Rizokarpason in the Karpass Peninsula. 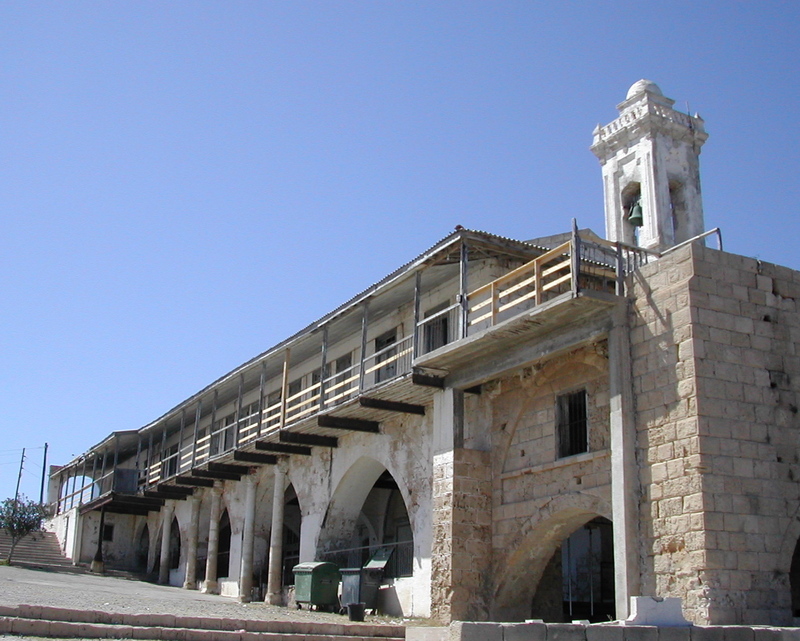 The monastery is an important site to the Cypriot Orthodox Church. It was once known as “the Lourdes of Cyprus,” served not by an organized community of monks but by a changing group of volunteer priests and laymen. Both Greek Cypriot and Turkish Cypriot communities consider the monastery a holy place. As such it is visited by many people for votive prayers. Andrew is also revered in Malta. The first reference regarding the first small chapel at Luqa dedicated to Andrew dates to 1497. This chapel contained three altars, one of them dedicated to Andrew. The painting showing “Mary with Saints Andrew and Paul” was painted by the Maltese artist Filippo Dingli. 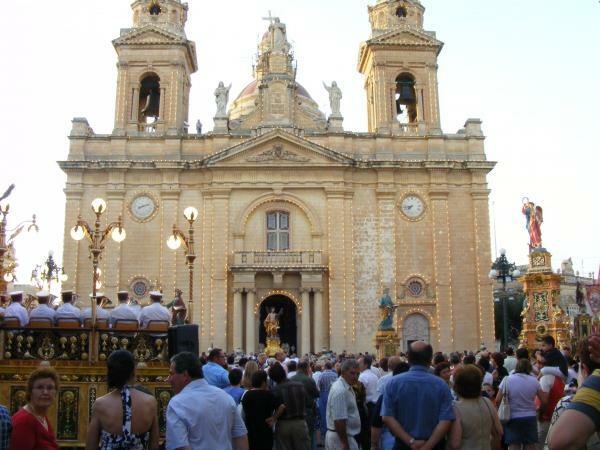 At one time, many fishermen lived in the village of Luqa, and this may be the main reason behind choosing Andrew as patron saint. The statue of Andrew was sculpted in wood by Giuseppe Scolaro in 1779. This statue underwent several restoration works including that of 1913 performed by the Maltese artist Abraham Gatt. The Martyrdom of Saint Andrew on the main altar of the church was painted by Mattia Preti in 1687. 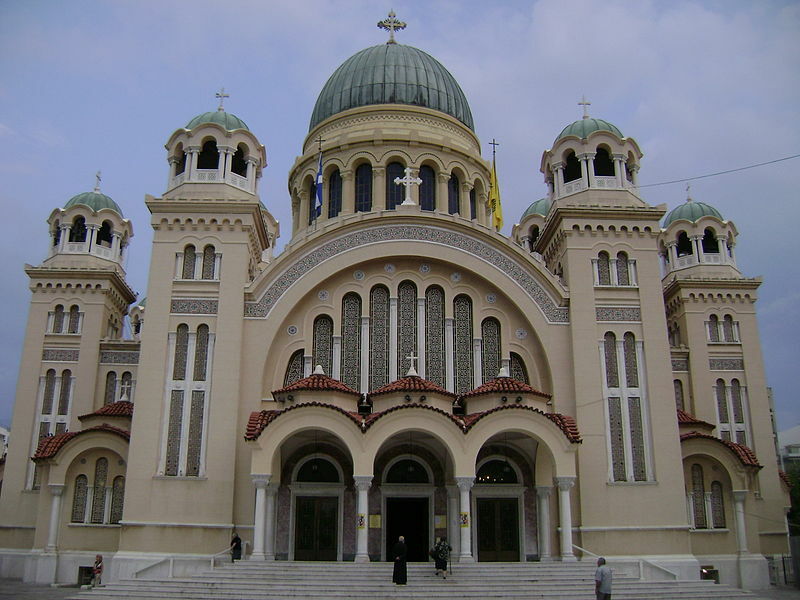 The official stance of the Romanian Orthodox Church is that Andrew preached the Gospel in the province of Dobruja (Scythia Minor) to the Daco-Romans, whom he is said to have converted to Christianity. There have been some ancient Christian symbols found carved in a cave near Murfatlar. These have been used for propaganda purposes in the communist era as part of the ideology of protochronism, which purports that the Orthodox Church has been a companion and defender of the Romanian people for its entire history. Early Christian History in Ukraine holds that the apostle Andrew is said to have preached on the southern borders of modern-day Ukraine, along the Black Sea. Legend has it that he travelled up the Dnieper River and reached the future location of Kiev, where he erected a cross on the site where the St. Andrew’s Church of Kiev currently stands, and prophesied the foundation of a great Christian city, Jerusalem of the Russian/Ukrainian land. About the middle of the 10th century (possibly earlier), Andrew became the patron saint of Scotland. Several legends state that the relics of Andrew were brought by divine guidance from Constantinople to the place where the modern town of St Andrews stands today (Gaelic, Cill Rìmhinn). There are good reasons for supposing that the relics were originally in the collection of Acca, bishop of Hexham, who took them into Pictish country when he was driven from Hexham (c. 732), and founded a see, not, according to tradition, in Galloway, but on the site of St Andrews. According to legend, in 832, Óengus II led an army of Picts and Scots into battle against the Angles, led by Æthelstan, near modern-day Athelstaneford, East Lothian. The legend states that he was heavily outnumbered and hence whilst engaged in prayer on the eve of battle, Óengus vowed that if granted victory he would appoint Saint Andrew as the Patron Saint of Scotland. On the morning of battle white clouds forming an X shape in the sky were said to have appeared. Óengus and his combined force, emboldened by this apparent divine intervention, took to the field and despite being inferior in numbers were victorious. Having interpreted the cloud phenomenon as representing the crux decussata upon which Saint Andrew was crucified, Óengus honoured his pre-battle pledge and duly appointed Saint Andrew as the Patron Saint of Scotland. The white saltire set against a celestial blue background is said to have been adopted as the design of the flag of Scotland on the basis of this legend. Andrew’s connexion with Scotland may have been reinforced following the Synod of Whitby, when the Celtic Church felt that Columba had been “outranked” by Peter and that Peter’s brother would make a higher ranking patron. The 1320 Declaration of Arbroath cites Scotland’s conversion to Christianity by Andrew, “the first to be an Apostle.” Numerous parish churches in the Church of Scotland and congregations of other Christian churches in Scotland are named after Andrew. The national church of the Scottish people in Rome, Sant’Andrea degli Scozzesi is dedicated to St Andrew. 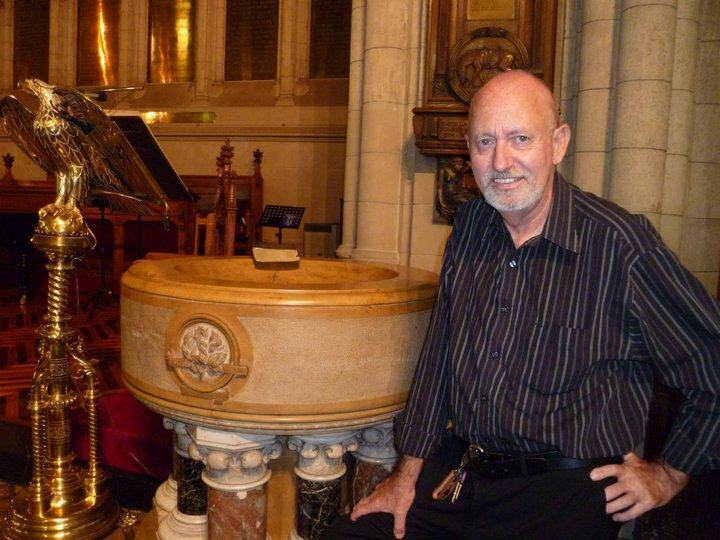 My profile image here is taken from a larger photo of me beside the font of Iglesia San Andreas (Presbyterian) in Buenos Aires, where I was baptized in 1951. Andrew is the patron saint of several cities and countries including: Barbados, Scotland, Ukraine, Russia, Romania, Patras in Greece, Amalfi in Italy, Luqa in Malta, and Esgueira in Portugal. He was also the patron saint of Prussia and of the Order of the Golden Fleece. The flag of Scotland (and consequently the Union Flag and that of its commonwealth countries) feature St Andrew’s saltire cross. The saltire is also the flag of Tenerife, the former flag of Galicia and the naval jack of Russia. St Andra’s Day is the feast day o Saunt Andra an is celebratit on 30th November ilka yeir. Saunt Andra is the patron saunt o Scotland an St Andra’s Day (Scots Gaelic: Latha Naomh Anndra) is Scotland’s offeicial naitional day. In 2006, the Scots Pairlament waled ti mak the day a Bank Haliday. Syn 2002, St Andra’s Day haes been Scotland’s offeicial banner day anaw, meinin that the Saltire Banner wul flee frae aw Scots Govrenment biggins wi a bannerpaul. Houme’er, Unitit Kinrick Govrenment biggins in Scotland wul flee the Union Banner, an anerlie flee the Saltire Banner gin thar is mair nor the ae bannerpul. I bet you didn’t know there was a Scots Wikipedia. Scots is now considered a language in its own right, distinct from English. Scottish cuisine is as wrongfully maligned as its English counterpart by the ignorant. As in England, cooking in Scotland suffered a setback in the 20th century because of shortages caused by the world wars, but is now firmly back on its traditional footing. “Ashet” from “Assiette” (a large platter). “Gigot” from gigot (leg of mutton). “Howtowdie” from Old French “Hétoudeau” (a boiling fowl). 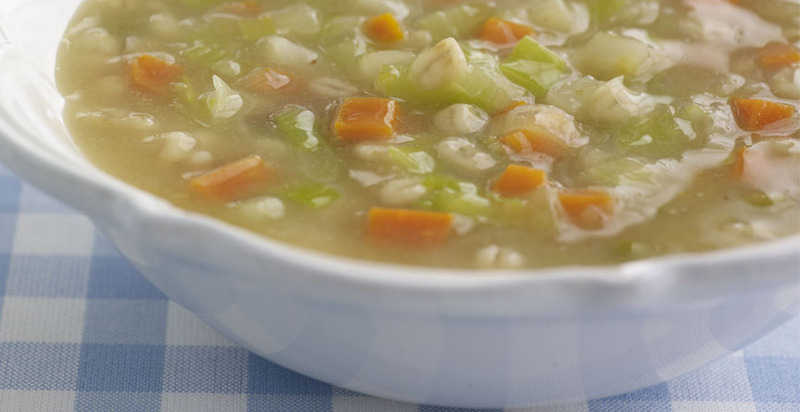 One of my favorite soups is Scotch broth, made with a base of barley and lamb, plus carrots, onions and leeks. I always make it when I have a bone left over from roast leg of lamb. It can also be made cheaply with lamb neck bones. Here’s my recipe from memory. Amounts of ingredients are up to you. I wing it. Put a lamb bone with plenty of meat still on it, or 1-2 lbs of lamb neck bones, in a large pot, with 2 cups of pearl barley, some chopped fresh parsley, lots of freshly ground pepper, and salt to taste. Top with water or light stock and simmer one hour. Add diced carrot, onion, and leek (green and white parts) and simmer another hour, or until the barley is properly soft. Add a few extra grinds of pepper and chopped fresh parsley. Simmer another 5-10 minutes and serve piping hot in deep bowls.